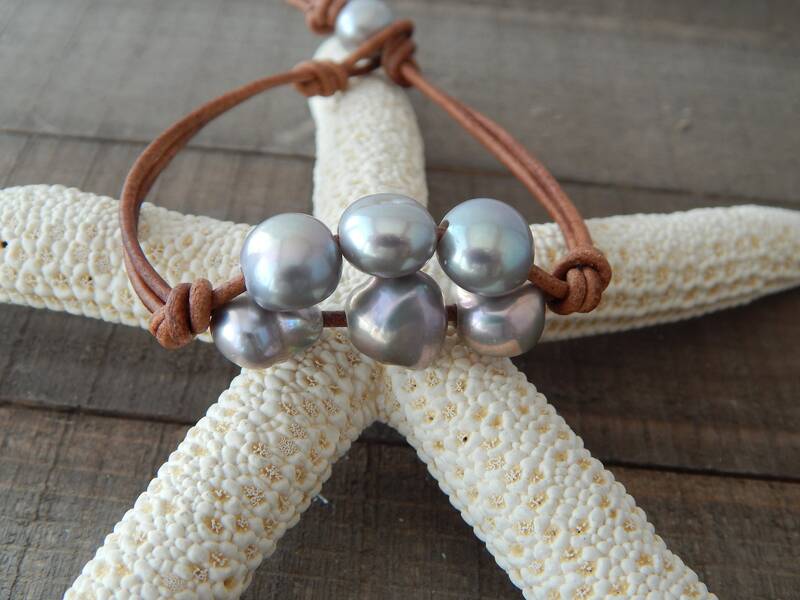 Hand knotted brown leather cord holds 6 gorgeous iridescent gray baroque pearls. 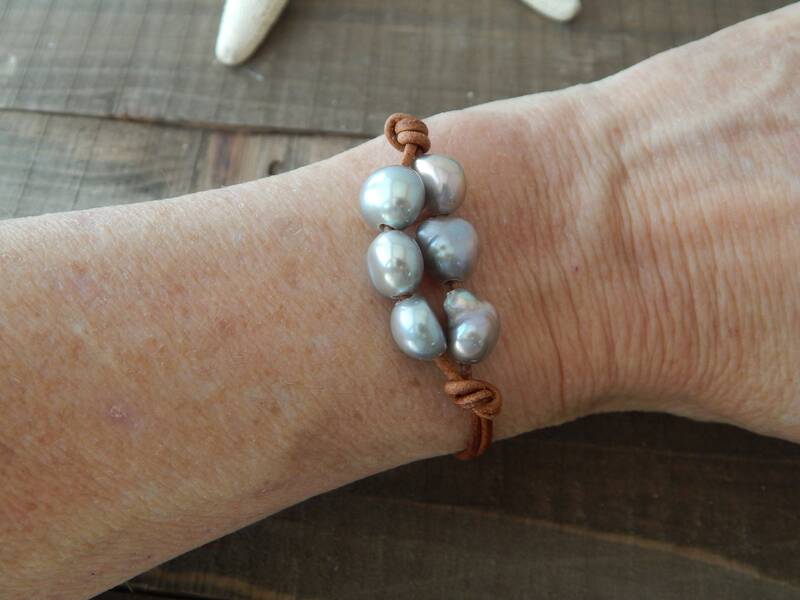 This versatile bracelet can be worn alone or layered with others for that elegant boho chic look. Pearl and loop closure. Bracelet measures 7 inches long. If different length is needed just make your selection at checkout. Pearls measure approx. between 8 and 10mm. 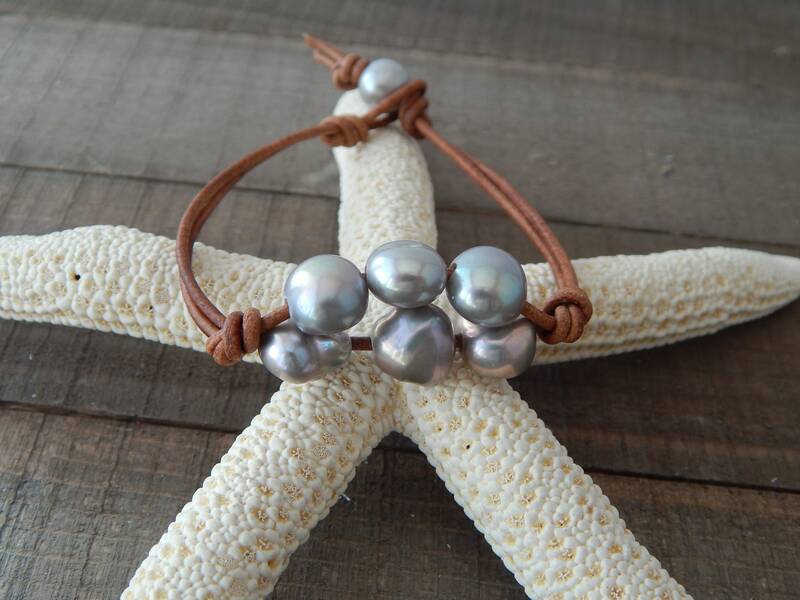 Size and shape will vary with each bracelet.